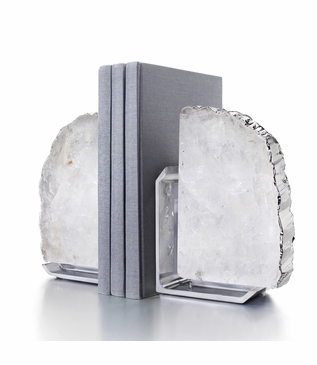 Modernity and nature combine in the design of these crystal bookends. 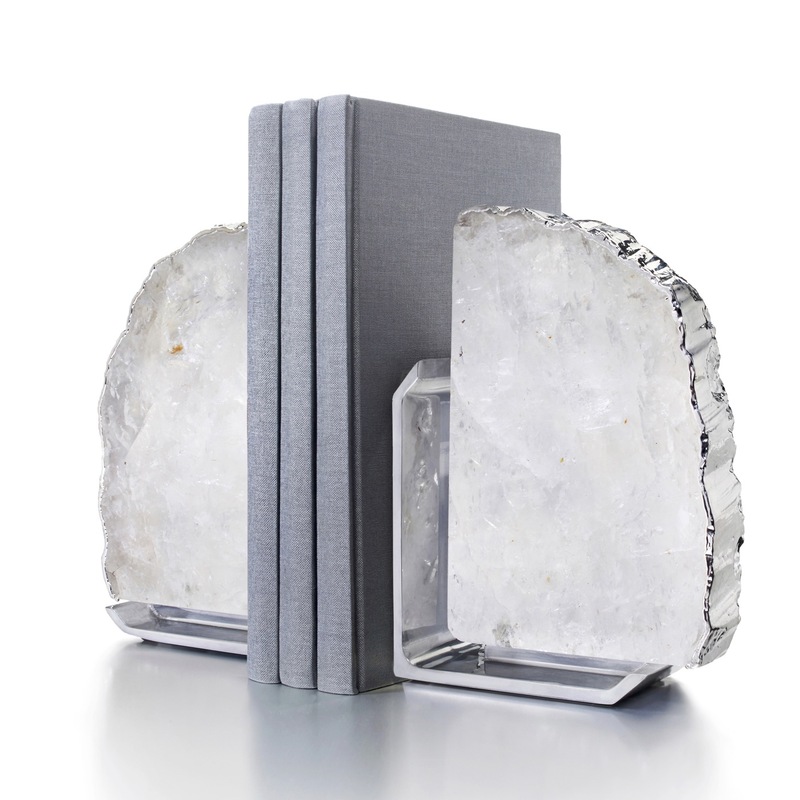 Offset by a luxe pure silver-plated edge, the gemstones are natural outgrowths from the inside of ancient lava streams. 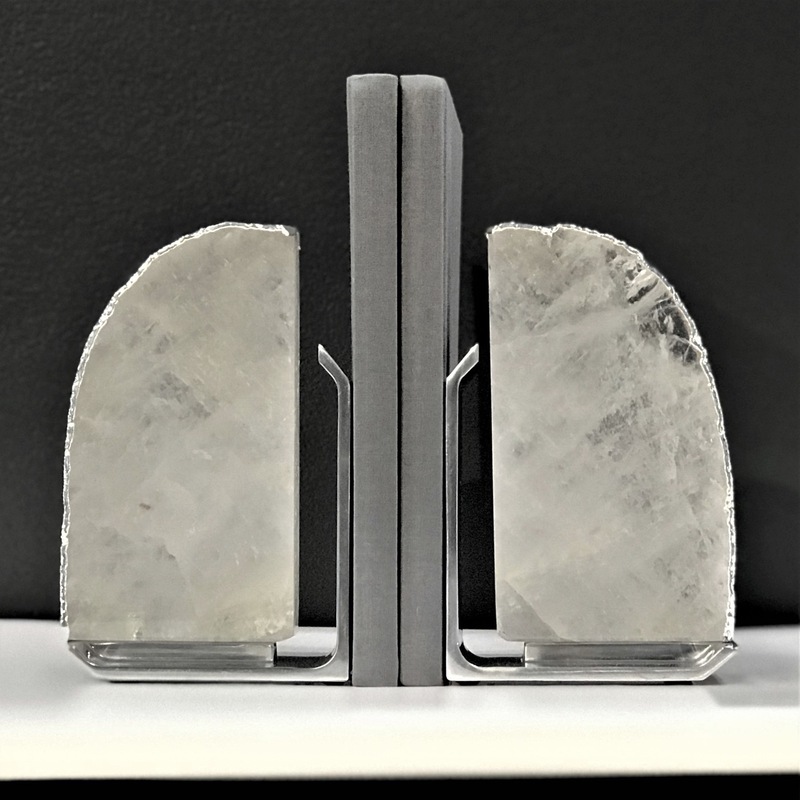 The organic design of their hand-polished nickel bases was inspired by the natural patterns in the rock. Paired in twos, they complement any bibliophile’s literature collection.